In addition to the powerhouse 51.4-megapixel medium-format GFX 50S, Fujifilm is introducing the fourth-generation X100F, a premium rangefinder-style camera with a 24.3-megapixel X-Trans CMOS III APS-C image sensor and high-speed image processor. Fujifilm’s Advanced Hybrid Viewfinder has been improved and allows photographers to switch between optical and electronic viewfinders. The X100F features high-performance FUJINON optics in the 23mm F2 lens. Among the X100F’s many features are six AF modes, Full HD video recording, interval timer shooting and a new ACROS film simulation mode. A high-definition 1.04M-dot, 3-inch LCD allows image preview before shooting. Enthusiasts will appreciate the interchangeable-lens Fujifilm X-T20 for its ease-of-use touch controls, but advanced settings for those who prefer to be more creative behind the lens. The latest addition to the X Series, the X-T20, successor to the X-T10, features a 24.3-megapixel APS-C X-Trans CMOS III sensor and X-Processor Pro imaging engine. The X-T20 has a large, tilting 3.0-inch, 1.04M-dot touch-screen LCD monitor for multi-angle shooting, plus more control over settings and image review. Other features include AF-C Custom Settings with five AF-C presets, 4K video and Full HD video shooting, the ACROS Film Simulation mode and built-in WiFi for shooting from a smartphone or tablet. The X-T20 is available as a body only, or with a choice of two kit lens options: the XF18-55mm and XC16-50mm. The cameras will be released in February 2017 in the U.S. and Canada. The X100F is available in Black and Silver for $1,299.95 (USD) and $1,699.99 (CAD); the X-T20, body only, in Black and Silver for $899.95 (USD) and $1,199.99 (CAD); the X-T20 with XF18-55mm Lens Kit for $1,199.95 (USD) and $1,599.99 (CAD); and the X-T20 with XC16-50mm Lens Kit for $999.95 (USD) and $1,299.99 (CAD). See our newswire on the Fujifilm GFX 50S medium-format mirrorless camera here. 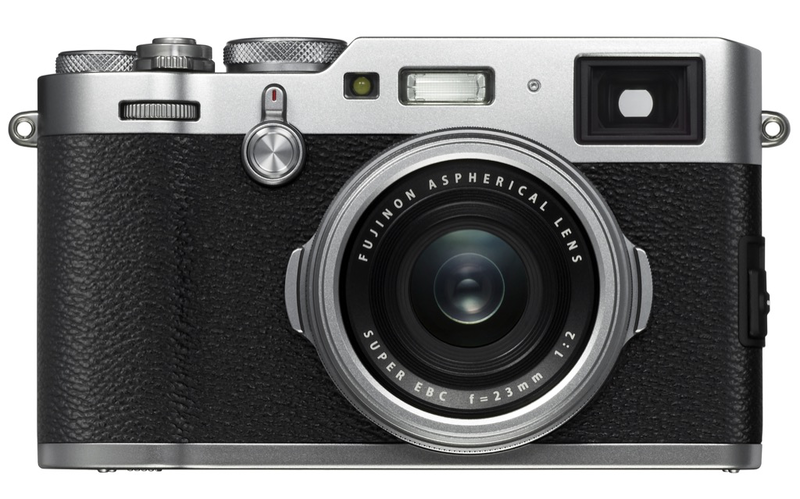 Valhalla, N.Y., January 19, 2017 – FUJIFILM North America Corporation today announced the FUJIFILM X100F, the new premium rangefinder style compact digital camera featuring a unique Advanced Hybrid Viewfinder that allows users to switch between an optical viewfinder and electronic viewfinder. The new X100F is the fourth generation release from the series that introduced the first hybrid viewfinder camera for ultimate flexibility, style and premium image quality. The Film Simulation function now features ACROS mode for even more artistic photos. Using X-Processor Pro’s advanced processing capability, the mode offers smooth gradation, deep blacks and beautiful textures to create stunning monochrome images. The X100F also features the Grain Effect function for reproducing distinctive graininess seen in photographs taken with film cameras. The function is available in a Strong and Weak setting, and can be combined with any of the Film Simulation modes. Photographers can now easily achieve the creative effect of film-based photos, notable especially when the image is printed out. Tele-Conversion Lens TCL-X100 II: dedicated tele-conversion lens for narrowing the field of view by multiplying the fixed focal length by approximately 1.4x, converting it to 50mm (35mm format equivalent) for shooting portraits or close-up photography from as close as approximately 5.5in / 14cm. Valhalla, N.Y., January 19, 2017 – As the leader in innovation for photographers, FUJIFILM North America Corporation today announced the new FUJIFILM X-T20 interchangeable lens camera that joins the award-winning X Series digital camera lineup. The X-T20 is the successor to the FUJIFILM X-T10 and builds on its outstanding image quality, intuitive design, and versatility with a new APS-C sized 24.3MP X-Trans CMOS III sensor and X-Processor Pro image processing engine. The updated sensor and processor, along with an improved AF algorithm, boost the camera’s startup time and AF performance, dramatically improving its ability to track moving subjects for their best pictures to date. The X-T20 also has a large tilting touchscreen LCD monitor for multi-angle shooting and responds to quick gestures for a variety of efficient controls and picture review. The new FUJIFILM X-T20 Body (Black and Silver) will be available in February 2017 in the U.S. and Canada for USD $899.95 and CAD$1,199.99. The X-T20 Body with XF18-55mm Lens Kit will be available for USD $1,199.95 and CAD $1,599.99; the X-T20 Body with XC16-50mm Lens Kit will be available for USD $999.95 and CAD $1,299.99.